Happy Monday all, we have a new Merry Monday Christmas Card Challenge for you today. 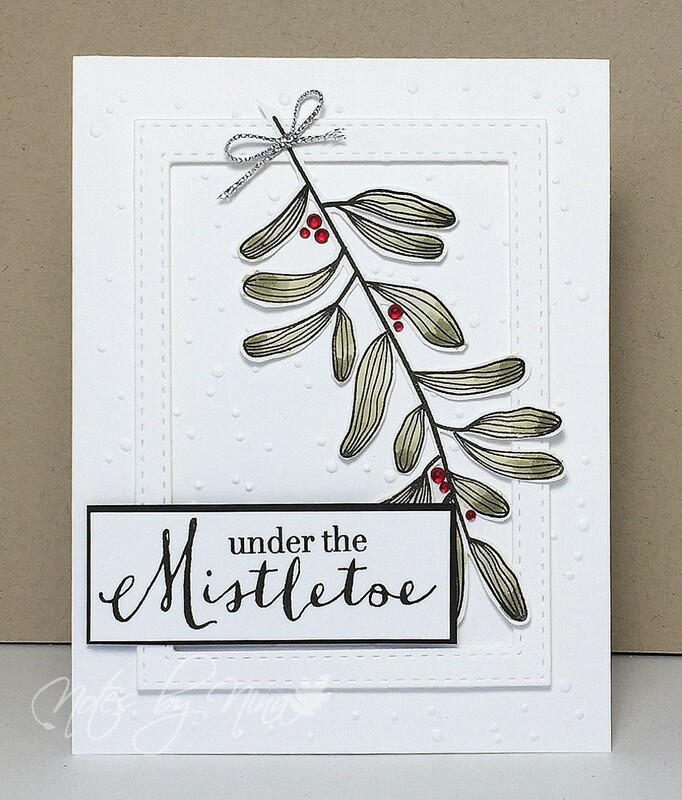 Colleen is our hostess this week and her challenge is to Create a Christmas card using mistletoe. 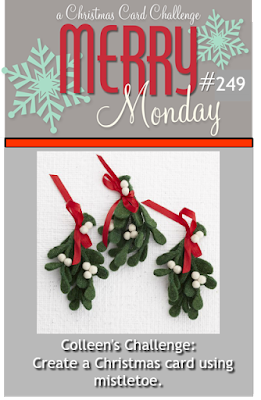 Be sure to play along with us for the Merry Monday challenge, the design team has some fantastic inspiration. Oh my gosh can't believe you fussy cut the mistletoe, Nina. 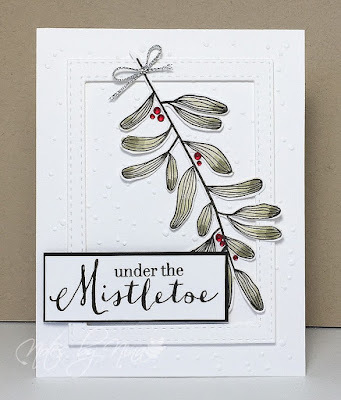 Beautiful card with the textured white background. Have a great week. Just love your mistletoe, Nina - hey, I used the same set! First time for me. Great job on the fussy-cutting!! lovely card for the holidays..like how you framed it all out. It's perfect! Love the background snow!